A Hasidic all-girls school in Brooklyn this week ordered its students to either delete their Facebook accounts and pay $100 fine for being so openly immodest on the internet, or gtfo, for the very important reason, explained administrator Benzion Stock, "Girls are getting killed on the internet," just like in the Matrix. 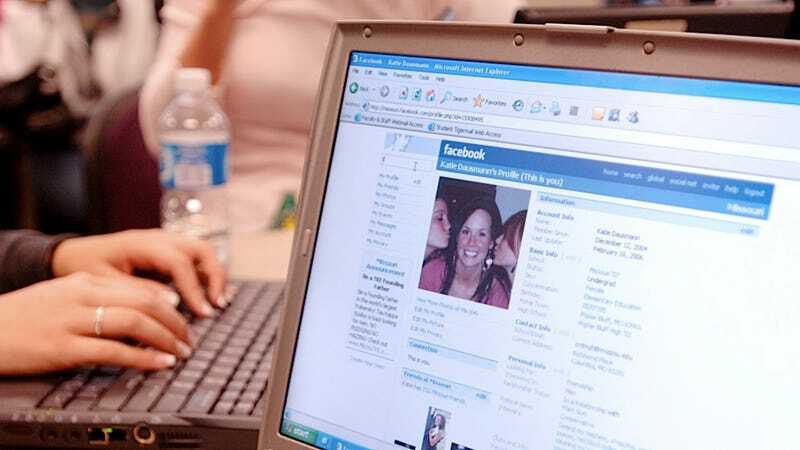 The New York Post reported that the Orthodox Beth Rivkah High School has warned its students not to dabble in social networking because sites like Facebook violate the Orthodox code of modesty. "The internet," Stock added, "is a good way to ruin marriages and families. We don't want [our students] there, period. It's the wrong place for a Jewish girl to be. Facebook is not a modest thing to do." In a predictable bit of irony, the school's toughened policy barring the use of social media went viral after being posted on Crowned Heights community news site, CrownedHeights.info, exacerbating the initial hard-line taken adopted by administrators. Parents and students, meanwhile, don't see the reason behind such a strict anti-Facebook policy and are perplexed by the school's paroxysm of indignation because, as not a few families have noted, Beth Rivkah's own website has called for followers to "do a mitzvah!" and sign up for Facebook in the hopes of winning the school some of that internet cash money my Spam folder is always telling me about.